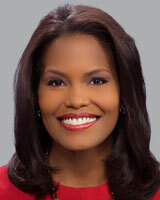 Tisha Powell co-anchors ABC11 Eyewitness News every weeknight at 5, 6 and 11pm with Steve Daniels. You can also find the team at 10pm on CW22. When Tisha is not on the anchor desk, she is out in the community or working on special reports for Eyewitness News. Before coming to ABC11 in 2004, Tisha's career in TV news bought her to various places around the southeast. This Louisiana native graduated from Loyola University New Orleans where she majored in broadcast news and minored in political science. After college, Tisha worked as a reporter, producer and anchor for WCBI in Columbus, Mississippi. She soon after went back home to Louisiana. As a reporter for WDSU in New Orleans, Tisha traveled to Honduras to cover the devastation of Hurricane Mitch. She was then hired as a reporter for KABB in San Antonio where she covered the escape of the Texas Seven and the Spurs 2003 NBA Championship. Shortly after, she became the midday anchor and health reporter for News 9 San Antonio. While here in the Triangle, Tisha traveled back to New Orleans in 2005 to cover Hurricane Katrina. She reported on the Pope's visit to Philadelphia, the Carolina Panthers trip to Super Bowl 50 and has interviewed influential people like First Lady Michelle Obama and Oprah Winfrey. Tisha has also jumped with the Army Golden Knights Parachute Team in Lauriburg, North Carolina. Tisha is an Army wife and a mother of two daughters who were born on the same day 12 years apart. She's also an avid supporter of the American Heart Association, the Girl Scouts and the USO of North Carolina. Tisha is a member of the National Association of Black Journalists, Alpha Kappa Alpha Sorority, Inc. and the Triangle Park Chapter of the Links, Inc.
Request Tisha to speak at your event. A new study warns over-the-counter teeth whitening products may be harmful to your teeth. Get ready to place your vote. The North Carolina Aquariums are in the running for USA Today's Readers' Choice Award for best aquarium.